Well, it looked like 2017 was going to end with me seeing The Shape of Water as my last film in the theaters for that year, but the local multiplex decided otherwise by opening a Filipino super hero comedy unannounced! Thus I finished out the year with Gandarrappido! 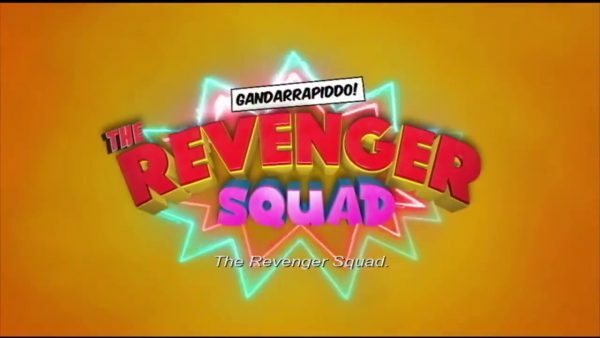 : The Revenger Squad! 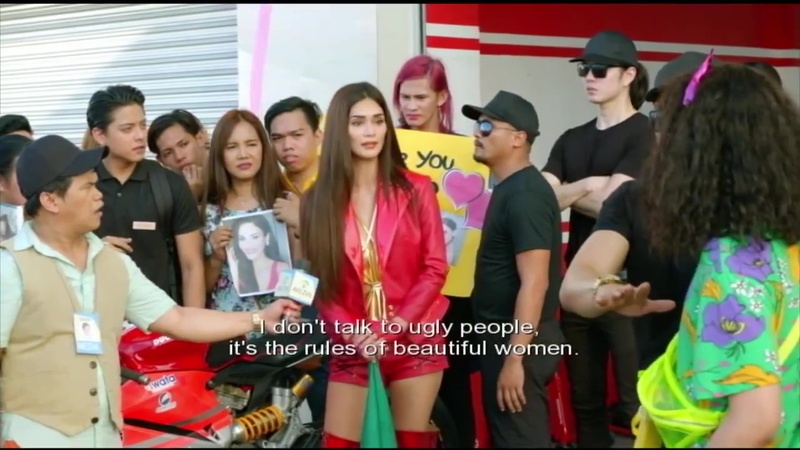 After taking one look at the trailer and seeing Vice Ganda in a rainbow wig and lipstick Sailor Moon outfit battling a bunch of villains meant it became the most important movie to immediately see right now! It’s weird and makes references I haven’t watched enough Filipino cinema lately to get, but it was easy to follow, had a lot of colorful effects, and for a modern Filipino super hero comedy wasn’t half bad! It was worth running out to see, as how often am I going to get a chance to watch a film like this? The theater just gave up and listed Gandarrappido! : The Revenger Squad as Revenger Squad, but at TarsTarkas.NET, we’re sticking to authorial intent, baby! 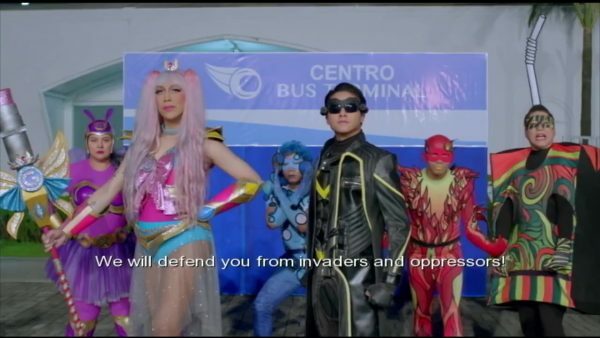 Gandarra (Vice Ganda) is a famous superheroine and her super friends battle against the evil Mino, who has been trapped in a mirror since a prior battle with Gandarra. He can still speak and influence the outside world, where he mind controls a villain named Madman and plots to steal the magical lipstick from Gandarra, from which she draws her power. In their climatic battle, Madman is killed and Gandarra suffers a head injury, resulting in amnesia. The remaining heroes resolve to raise the orphan son of Madman, Chino, as a normal child so he’ll never know his father was evil, and they all live together, keeping their heroic past a secret from Chino and Gandarra. As an aside, Madman had seduced Gandarra’s sister, Cassandra (Pia Wurtzbach), who became the supervillainess Kweenie in response, plotting with Mino to track down Chino after he gains super powers on his 21st birthday. Years later and it is birthday time, Chino (Daniel Padilla) discovers he has super speed and dubs himself Rappido, and sets out to help people. The other four heroes beat Gandarra over the head in a long comedic sequence until she gets her memory back, but she’s still overprotective of Chino, which chafes against his nature of wanting to help people. The villains fight, family drama and reunions happen, and thousands of jokes are tossed around as Gandarrappido! throws everything together in a big flurry of goofiness! Really, all you got to know about Gandarrappido! is that Vice Ganda basically runs around as Makeup-Powered Sailor Moon (he specifically designed the costume to incorporate Sailor Moon and mobile game EverWing aesthetics! ), another of the heroes is dressed as a juice box, and a third makes foot-tall cgi pimples that bite bad guys! No one seems to think that is at all weird! This is normal and it is awesome. Gandarrappido! does get political, largely due to the villains controlling a media empire that sends out fake news to scare the masses. The term “fake news” must be used three dozen times, and is exclusively the tools of the evil group. 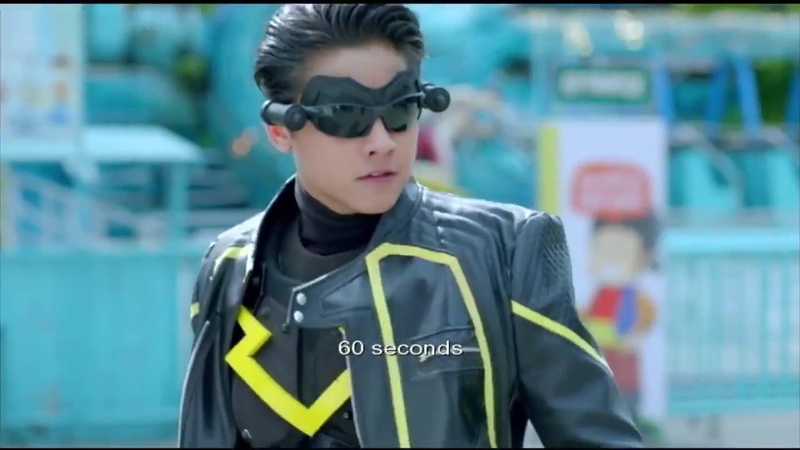 There is one small reference to current Filipino leader Duterte, basically turning his name into a martial arts style that causes instant fear in the villains. So while good enough to poke fun at the US stuff, definitely playing it safe when it comes to criticizing at home. Despite seeing the 10:30 pm showing, the theater has several young kids in attendance because this is a comedy that casts a wide net and keeps things just family friendly enough for the children (despite Ganda’s reputation as a comedian who pushes boundaries) There is even a random kid in the Gandarra household, who we find out well after he is introduced that he is the grandson of Gandarra’s deceased mentor, Professor Clean (not only does he look like Mr. Clean, but he’s painted completely white!) Gandarra’s fellow heroes are Pospora (Wacky Kiray), who has flame powers; Flawlessa (Lassy Marquez), who has the previously mentioned pimple powers; Higopa (MC Calaquian), who can eat and spit out anything (and is the hero dressed as a juice box); and Barna (Karla Estrada), who gets powers from food. Mainly he other heroes play small supporting roles in the fighting and are mostly their to have goofy antics with Gandarra in civilian guise. Thankfully their chemistry elevates those parts above some of the the mindless funny scenes that are anything but sometimes found in comedies. While I’ve certainly seen some stinkers from the Filipino super hero comedy genre, Gandarrappido! is definitely in the upper third. The genre is one that the Philippines is very prolific at, with dozens and dozens of films over the years. Things get bogged down with the artificially inflated family drama, but the bones are sound and the film doesn’t take itself seriously enough to get annoying. Gandarra loses a sister by helping others too much, and tries to overcompensate by forbidding Chino from helping anyone, with predictable rebellion. An enjoyable movie experience, and yet another one I wouldn’t have done without MoviePass. The target audience here is more limited than usual, but if you know you are in it, go check out Gandarrappido! before it is too late!